Girl is NOT a 4 Letter Word: El Gato Skateboard Classic - This Weekend! 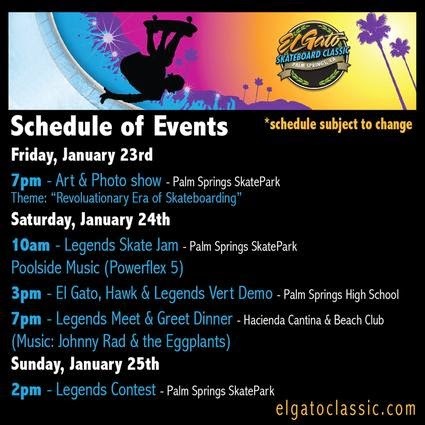 El Gato Skateboard Classic - This Weekend! I'm honored to have been asked to be part of the Eddie Elguera El Gato Classic that's taking place THIS weekend. Come on out to Palm Springs and meet your favorite old school pros. It's going to be 3 days of super fun, back to back skate events. A lot of the events are FREE so I hope to see you there!